These days, we frequently hear the term “Micro-learning”, especially in the corporate world. Micro-learning is very beneficial to the instructors as well as students. 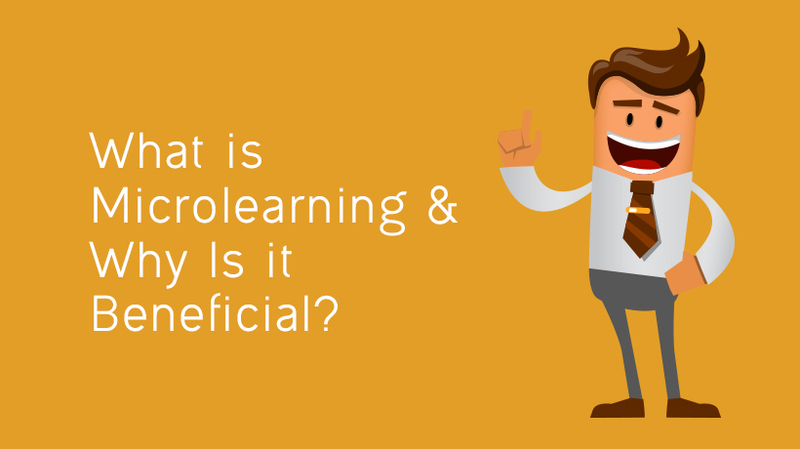 Let us see, what exactly micro-learning is? Micro learning means learning in small segments. It goes hand in hand with traditional elearning. It includes short term projects, assignments or lessons with very less amount of data. In micro-learning rather than teaching the whole topic on the board, the course material is broken in smaller modules or lessons. Though the course is very small in size, still it is hosted on an LMS. Micro-learning is a very good option when students requires urgent information or when they are most receptive. These instances are real-life examples which the students can relate to. Micro-learning takes place on a daily basis. Micro-learning is a perfect add-on to the online training program as it is very useful for a corporate learners. Through micro-learning employees get a small amount of information that centers on a particular concept or task. Before integrating micro-learning in your online training, it is good to find the advantages of it. Now Millennials are established in the workforce. They are now turning out to be the majority of the working population. They are familiar to access information by making use of the internet. To engage the audience, technology should be used cleverly in the educational experience. Micro-learning cleverly uses technology by offering on-demand access through mobile devices. The content is delivered in short parts to enhance the knowledge retention. As knowledge transfer is more effective in micro-learning, the overall time of training is reduced, which leads to increased ROI on training. Long and costly learning training has lost to the short and concise micro-learning. Micro-learning is just perfect for mobile device delivery. Mobile learning is flexible and convenient for the learners. Employees don’t have to wait after office hours to complete the training; instead the modules can be completed during the downtime like while commuting home or during lunch or tea break. If there is an option to complete training on personal mobile, it can increase the willingness to engage with the learning experience. Using micro-learning, learning can be set in such a manner that you can access it as you require. If you allow the learners to manage their training themselves, they will pull the information as they need it. One more advantage of micro-learning is that it allows the person to quickly close a skill gap. For example: Some colleges use micro-learning strategies so that their students learn collaborative and social technologies, like what is the procedure to set up a Google+ account. The cost of production of micro-learning is much lower than the cost for most course production. The vision of micro-learning is laser focused and smaller. Small instructional content chunks can be tagged for easy access, search and reuse. Bottom Line: The busy worker will appreciate the micro-learning solution as it is not as disruptive as a day of training.